Every other April, crowds of people of various backgrounds, beliefs, skin colors, and nationalities flock to a small patch of green grass under white tents near the church of Itterbeek in Belgium. They congregate for the Nacht van de Grote Dorst (Night of Great Thirst), a tiny, biannual festival devoted to all things Lambic and Gueuze. They pack their luggage, buy tickets, and travel from all corners of the earth—or sometimes just from the neighboring village. It's not just the abundance of sparkling, zesty, exquisite beer that gets them there, either—it's the people pouring it. 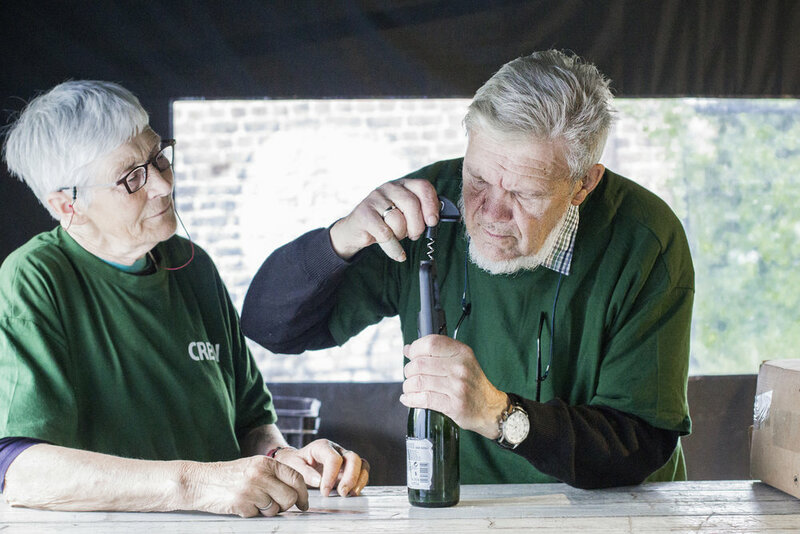 All beer is served by volunteers, members of a local Gueuze society: they’re the ones who have been collecting it over the years. When drinkers turned their noses up at the wild wonders of the Pajottenland region during the 1980s, these were the folks—along with the stubborn, talented beer makers, of course—who kept the fire going. Will we, youngsters in their eyes, used to picking up quality beers from the shelves and considering that experience a norm, ever thank them enough for saving Lambic from the verge of extinction? So while the beer is great, it’s the slight trembling of elderly hands uncorking another bottle of Gueuze, those unhurried and expert movements, the benevolent smiles and almost unnoticeable sparks in the eyes, that all combine to make you feel a surge of gratitude. It’s a simultaneously exciting and humbling experience. And hey, you can thank them, too. See you in 2020?